The Leeds Award is one of the most prestigious honours that can be given by the city of Leeds. 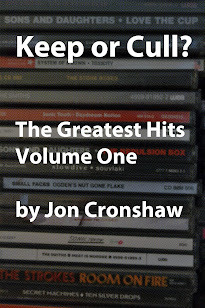 Jon Cronshaw looks at what makes the award so important and speaks to some of its past recipients. The Leeds Award is one of the most prestigious honours that can be given in the city - and it is hard won. Recipients have worked long and effectively on behalf of others and they include some of the most dedicated volunteers in the city, battling to make a difference in areas of life that are tough and traumatic. Past winners have covered a range of difficult and even dangerous issues, from trying to stop girls being groomed by pimps to working with the dying. Launched in 2008, the award was designed to complement the Freedom of the City, a title which has been bestowed on Nelson Mandela, Winston Churchill, cancer fundraiser Jane Tomlinson, and writer Alan Bennett. “The most pre-eminent award we can give is to give someone the Freedom of the City,” says Coun Bernard Atha, Chair of the Leeds Award. “In the past, that has been reserved for only the most exceptional individuals. “What we wanted was something that recognised people that didn’t quite reach that level of eminence, but had made a real difference in Leeds. The public are asked to nominate members of their community for the honour. The names are then put to a panel of councillors, with only the most significant nominees being put forward to receive the award. “We wanted it to be something that was not so easily earned. It had to have the same degree of sanctity that the Freedom of the City has,” says Coun Atha. Winners of the Leeds Award receive a certificate and a personal gift from the Lord Mayor of Leeds at a ceremony in the banqueting suite of the Civic Hall. The names of the winners are carved into a ‘wall of fame’ in the entrance to the Civic Hall as a permanent reminder of their contribution to the city. The award, which also recognises people who have been overlooked by other honours lists or national awards, is not given out on a regular basis as other honours are, but is awarded as and when the need arises. “At any time, anyone can come forward and nominate a person for the award – the panel then meets and makes a decision,” says Coun Atha. Hilary Willmer received the Leeds Award in 2011. For Coun Atha, she embodies the type of character that the Leeds Award seeks to honour. “She was a volunteer at the Citizen’s Advice Bureau, she set up the Leeds and Moortown Furniture Store, which is a most remarkable organisation,” says Coun Atha. “After she retired, she got involved with relief and accommodation for homeless people and set up the organisation Night Stop. There are now 30 Night Stop schemes across the country – if she’d done nothing more, that would have been remarkable. “She then set up another organisation the Coalition for the Removal of Pimping. So she made a real difference,” he says. Dawn Newsome received the award at the first Leeds Awards in 2008 for her work as project manager at Armley Helping Hands. “It’s a nice opportunity to recognise people who are doing work on a day-to-day basis that’s having a real impact on their community,” she said. Armley Helping Hands provide support for older people living in Armley and Wortley, helping them to retain their independence and be part of an active community. For Dawn, the award wasn’t for her, but for the organisation she founded. “Although my name’s on the panel, I didn’t just accept it for myself – I accepted it for my team,” says Dawn. “Every individual who achieves things like that always have a strong team behind them. With government cuts, charities like Armley Helping Hands are taking responsibility for services that were once offered by Social Services and the NHS. “Because of changes in society, and because of the recession, we’re dealing with more cases and supporting more people,” says Dawn. “Even though our finances are hypothetically stable, there’s always that higher demand from the community to deliver more. 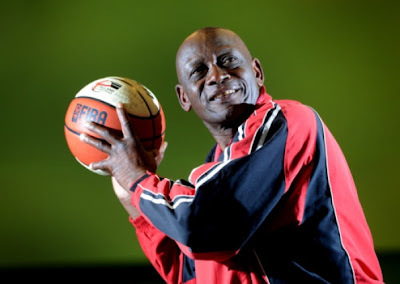 Claude Bandawe was honoured in 2010 in recognition of his ongoing commitment to youth sport in the city, setting up the Leeds Tigers basketball team in 1985. “All my life I’ve dedicated myself to helping young people, and I’m still helping them now to find their way in life and achieve better things,” says Claude. In 1975 Claude was forced to flee Malawi, then called Nyasaland, while working a civil servant. Claude takes great pride in being recognised by the city he now calls his home, and is proud to be the first black person to be nominated for a Leeds Award. “It meant so much to me to be awarded like this. I owe it to Victor Ware for nominating me. He fought for me, and I thank him for that with all my heart and all my might,” says Claude. “I’m trying to send out a positive message and focus on the good things that people do, no matter what their race or religion,” he says. “There is definitely a need for more black people to be recognised as role models, and more importantly to change people’s perceptions and expectations. “All we can do is keep chipping away and doing good things to hopefully inspire the next generation of people.”. This article was originally published by the Yorkshire Evening Post on September 18, 2013.